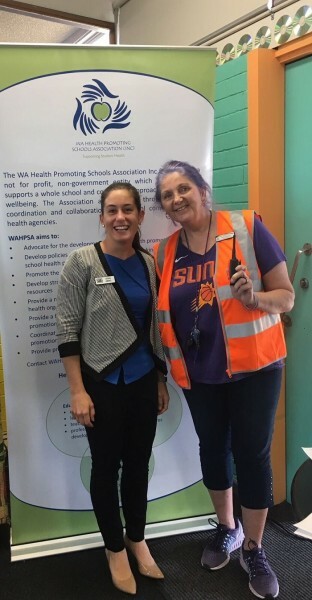 On 16 May, the WA Health Promoting Schools Association held a networking event prior to Cyril Jackson Senior College’s Health Fest. 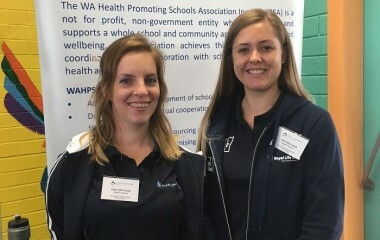 This is the third such event WAHPSA has held, with stall holders at the Health Fest invited to meet other representatives working in school health. Attendees enjoyed coffee and breakfast prepared and served by CJ students with Cath MacDougall’s guidance. 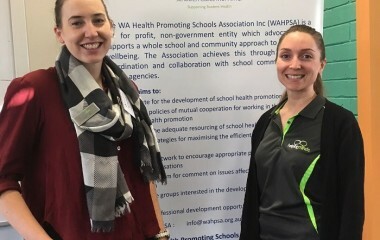 Wellness and mindfulness in schools – are agencies keeping up with demand? Mindfulness is defined as a connection with the moment and awareness of the present. Mindfulness requires self-regulation. There are reported benefits for concentration. Wellness has a broader definition with a more holistic approach, being in a state of good health and being aware of and making choices toward a healthy and fulfilling life. Wellbeing is not just the absence of disease or illness. It is a complex combination of a person’s physical, mental, emotional and social health factors. Wellbeing is strongly linked to happiness and life satisfaction. Wellbeing could be described as how you feel about yourself and your life. 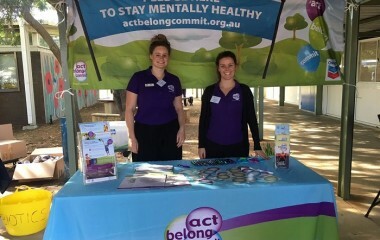 ABC News has reported an increase in demand in wellbeing programs across Australia. Mindfulness is not a new concept in schools, but there is an increase in focus on this area, with many programs available for schools. Have students lost the ability to be mindful, or has our society become faster paced, resulting in an increased need to be mindful? 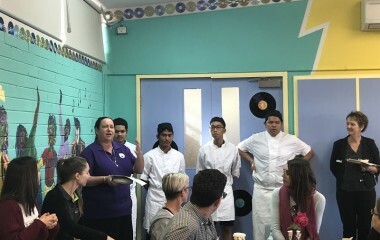 Participants were concerned about an increase in pace in students’ lives, from an overcrowded curriculum and increase in technology resulting in a disconnect and the potential for students to feel overwhelmed. There is a need to slow down and reflect. The increase in smart technologies has reduced our attention spans from 12 secs in 2000 (around the time when the mobile revolution began) to 8 seconds now. Are we developing ‘gold fish brains’? Consider readiness for students to learn before lessons or activities. If a student has just returned from lunch or play, they might need a few moments to re-focus and be ready to engage in the classroom. This does not have to be a long exercise, it could be a quick visualisation or relaxation. There is a need to explicitly teach emotional literacy, with benefits for learning. It is more beneficial to start mindfulness in primary schools. Mindfulness programs are more effective if a whole school approach is adopted. Evidence based programs with little or no cost to the school are more likely to be taken up. School staff and agency staff need to set examples of wellbeing and mindfulness – the need to ‘walk the talk’. Practical implications: in large groups of students, it can be difficult to engage with all students, especially boys. Not all teachers are keen to take it on due to increasing pressure to focus on curriculum and testing. A big shift in school culture might be required. The success of a program can depend on the buy in of the school community, including teachers, administration, students, each learning area/department. A quiet space in schools is important. Lots of programs and support are available to schools, but potential gaps lie in at risk students. Mindful Mediation Australia Including a free online hub. View a video on their research and best practice implementation here. Cyril Jackson students and staff for welcoming and directing attendees and for cooking us breakfast!